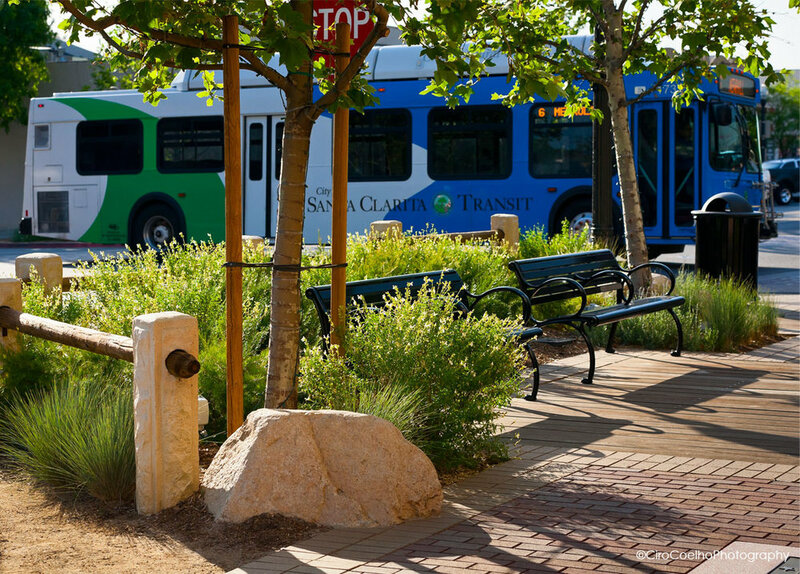 OLD TOWN NEWHALL — Pacific Coast Land Design, Inc.
Newhall is an historic town in Santa Clarita. It has all the elements that make redevelopment appropriate with a varied history that includes the Tataviam tribe, the railroad, oil and the movie industry. Most importantly, it has a Metrolink connection to downtown Los Angeles. Boardwalk paving, a Western Walk of Fame with star insets, and wayfinding stations have shaped the downtown attraction envisioned by the specific plan. 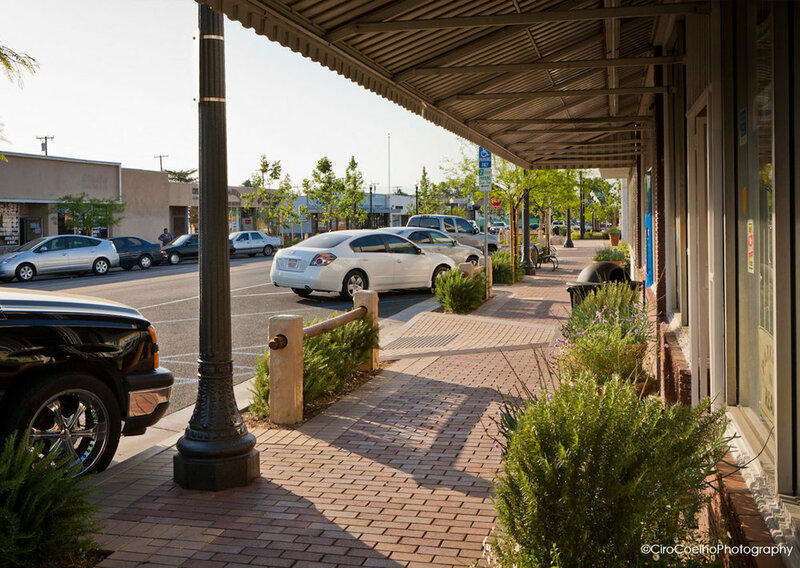 Accessibility improvements, boulder seating, and planters to filter sidewalk storm water serve to update the streetscape and respect connections to the surrounding natural environment. Design & administrate construction of curb configuration, parking, hardscape, planting and irrigation, lights, signage, roundabout. Public & City Council meetings.